NASA has a Flickr account — nifty. 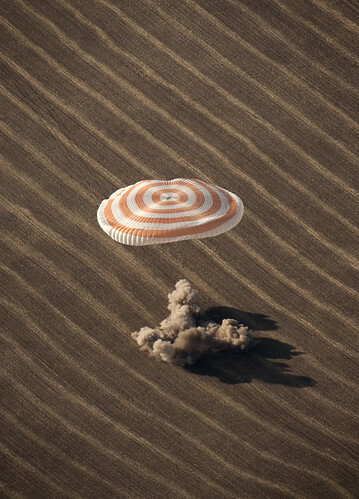 Most of it’s pretty banal, actually, but the Soyuz landing in Kazakhstan (Expedition 20) pictures are pretty cool. One problem, though: all the photos seem to be under a Creative Commons Attribution (BY) + Non-Commercial (NC) License &mdash as an agency of the United States Federal Government, isn’t everything NASA publishes themselves automatically Public Domain?